Ms Van Arkel's Third Grade Blog | 3rd Graders ROCK!!! EARTH DAY: We celebrated Earth Day today by reading an article and completing some response questions. We also read a story and finished a craft ->see photo below. 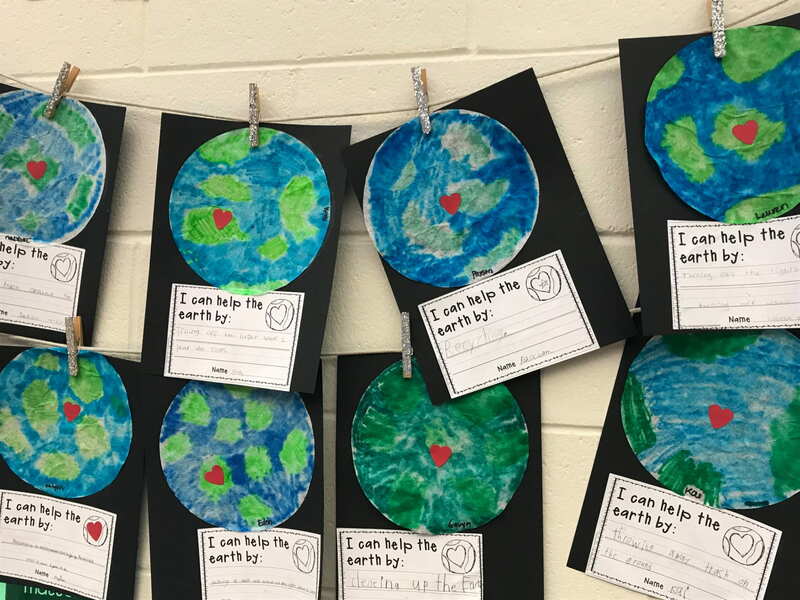 We talked about ways we can help our EARTH become a better place to live. Writing/Reading: We are working on reading, researching, and studying a person in history. We are gathering information and will work on writing about this person. Math: We have started our Fraction unit and we are learning about unit fractions and representing fractions on a number line. Continue practicing math facts on MobyMax. Social Studies: We are learning about the Government of Michigan. Field Trip: A note went home today about a field trip to Meijer Gardens. The cost is $2.00 per student. Please send the form and money to school (in an envelope labeled with your child’s name) by May 3. We are allowed 4 chaperones per class. If you are interested in attending, please note this on the form and 4 chaperones will be randomly chosen. REMINDER: As the weather gets nice, please let me know if your child will be riding their bike home. It is helpful to know if there is a change in end of day transportation. 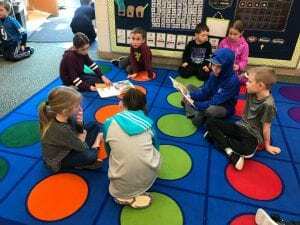 This entry was posted in 3rd Grade Update, News from Ms Van Arkel and tagged field trip, math facts, MobyMax, MSTEP on April 22, 2019 by avanarke. MATH: We will be reviewing for our math test and will have the test tomorrow, Tuesday. A review will come home tonight. This test will cover geometry, classifying quadrilaterals, area, and perimeter. We will be moving to fractions next. READING and WRITING: We are working on our biography research. Your child has chosen the person who they will read about, research, and write about. We will be working on this over the next few weeks. Last week, a bright yellow paper went home explaining how to help your child gather more information and sources for their research. Please start to send this information in with your child this week. Thanks! Math Practice Page: This Wednesday will be our last weekly practice page. I explained to the class that this does not mean we stop practicing multiplication and division facts! Math facts should still be practiced using flashcards and/or MobyMax. It is so crucial that this is consistent especially through the summer months so your third grader is prepared for fourth grade math. Reading Log: Book- It reading logs are done for the year. Again, this does not mean that reading practice stops. 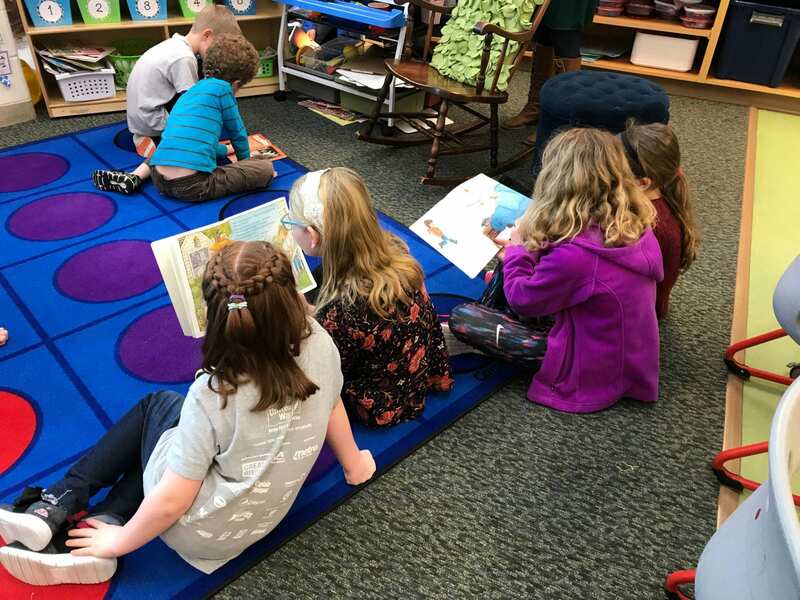 The hope is that your third grader is starting to develop a habit and routine of becoming an independent reader. Please help them to make 20 minutes of reading part of their daily routine. Consistent reading will be helpful in building reading skills! 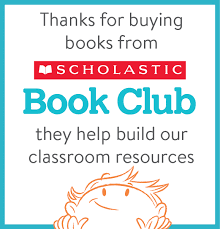 Scholastic Book Order: book order packets went home last week. If you plan to order, please place your order online by Wednesday, April 17. Thanks!! Hudsonville Public Schools 19th Annual Student Art Show!! Stop in to view all of the amazing art Hudsonville students have done! There is a lot of talent to check out!! This entry was posted in 3rd Grade Update, Georgetown News and tagged art show, math facts, MSTEP, multiplication, reading, Scholastic book order, update on April 15, 2019 by avanarke. I hope you all had a great spring break and you enjoyed some rest and fun with family and friends! Writing: We are working on responding to a text in writing and we are practicing using strategies so that we can write a clear and complete response. We are also practicing typing out our writing. Math: We will be finishing up learning about area and perimeter and will be doing some test review at the end of the week. We will plan to have our test next Tuesday, April 16. Please help your child to continue working on multiplication facts at home. We will be nearing the end of our weekly practice pages in the coming weeks. Reading: We continue to read and study biographies. 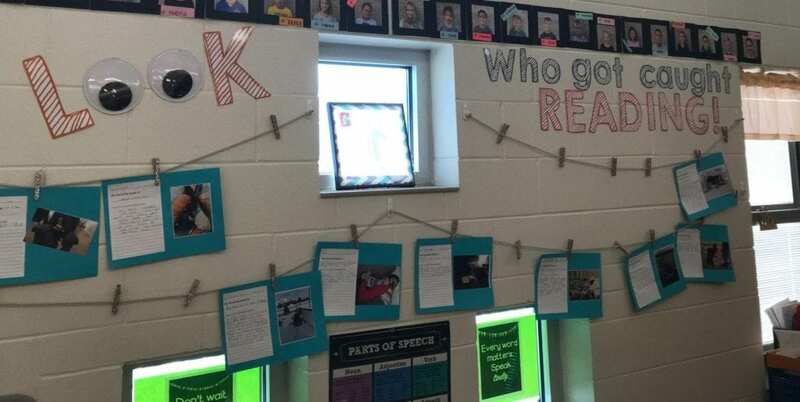 This week, your child will be choosing the person that they will read, research, and present. There will be a note coming home in the next week about how you can help your child gather information. EARLY RELEASE: this Friday, April 12. Dismissal is at 12:15. Remind your child that all of our learning all year long has prepared us for these tests. This is our opportunity to show what we know and do our very best! Remind your child do use their Growth Mindset skills we have learned in 3rd grade! This entry was posted in 3rd Grade Update and tagged biography, early release, math facts, MSTEP, update on April 8, 2019 by avanarke. Here is an update for the week! Writing: We are finishing up our literary essays this week and will work on our Post Assessment for opinion writing. Social Studies: We will finish our last lesson in our Michigan History unit as we learn how Michigan became a state. I am hoping to give the test on Friday. A review page will come home. Math: We have completed our lessons on geometry and will begin lessons on area and perimeter. It will be important that your third grader continue practicing math facts on MobyMax. Reading: We have started our Biography unit and students are starting to read and learn about people in history. They will read a biography book and then complete a comprehension card to show their learning and understanding. I am excited for our third graders to learn all about people who faced their fears, made their dreams come true, overcame challenges, and made our world a better place! You can still email me a picture of your third grader getting ‘caught’ reading! This Friday, March 22: Wear a hat with words so others can read it! This entry was posted in 3rd Grade Update and tagged math facts, reading month, update on March 18, 2019 by avanarke. We have been having lots of fun celebrating reading. Last week we read with Mrs. Stutz’s Kindergarten class. We have several of our students who have been ‘CAUGHT’ reading! They are featured on our classroom wall! 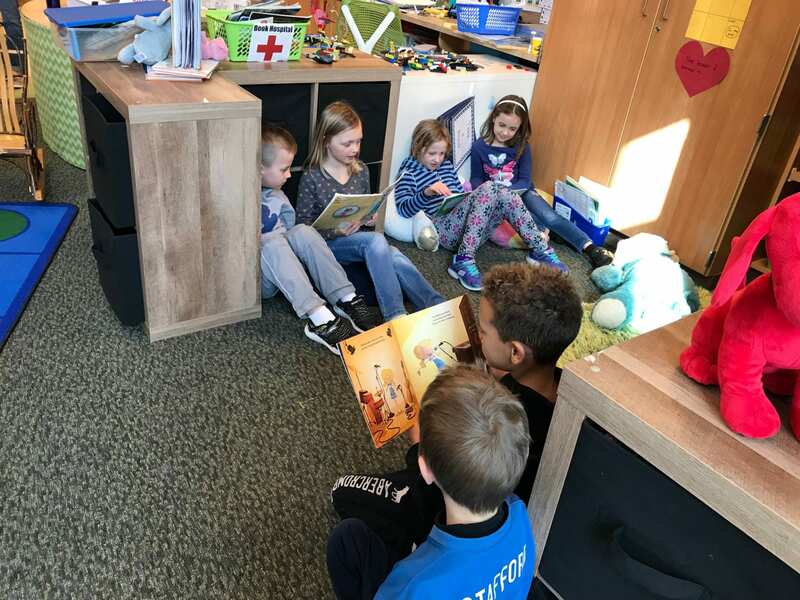 This entry was posted in News from Ms Van Arkel and tagged caught reading, reading, reading month on March 12, 2019 by avanarke. I look forward to seeing you during Parent/Teacher Conferences this week! Our third graders have made great progress and it is exciting for me to share that with you! I am sending report cards home today. Your third grader can be very proud of all their hard work! If your child is discouraged that they did not receive ALL 3s on their report card, please remind them of their GROWTH MINDSET. We have worked hard on using a growth mindset as we work on learning and make progress toward our goals. The standards you see on the report card show progress being made and they will continue to be assessed. Remind your third grader that learning takes hard work and practice. I am very proud of our class! Our class will preview the book fair on Monday. If your child chooses to make a purchase, please send the money in an envelope labeled with your child’s name by Wednesday. Thanks! Our class is celebrating Reading Month with some activities on Fridays. This Friday, we are wearing our words! Choose a shirt with words so others can read it! MobyMax math fact practice: Please remind your third grader to get on MobyMax to practice math facts. This will help build their fact fluency progress. This entry was posted in 3rd Grade Update, News from Ms Van Arkel and tagged book fair, math facts, MobyMax, reading month, report cards on March 11, 2019 by avanarke. March is here and we are getting closer to SPRING!! This Friday, March 8 is an early release day. Dismissal is at 12:15. I look forward to seeing you at parent/teacher conferences next week. Your appointment time went home on a bright yellow slip of paper on February 22. If you are not sure of your time, please let me know. Thank you! Math Test: We will have our math test on Thursday. We will review in class on Wednesday and that will come home. Please help your child to continue practicing math facts. Reading: We begin our Biography unit. We look forward to reading about famous people in history. Later, your child will be writing a biography report about a person. Writing: We begin our literary essay unit. We will use a mentor text and form big ideas about a character. We will work together to put our ideas into an essay. Social Studies: We begin learning about Pioneer life. You will see a note coming home about ‘catching your child reading’. I can’t wait to fill our classroom wall with photos of our readers. In celebration of Reading Month, our class will celebrate on Fridays. Friday, March 8: Get comfy and read: All school PJ day! Bring your favorite book to read. Friday, March 15: Wear a SHIRT that others can read. Friday, March 22: Wear a HAT that others can read. THURSDAY, March 28: Read with a treat. We will read and have a snack. 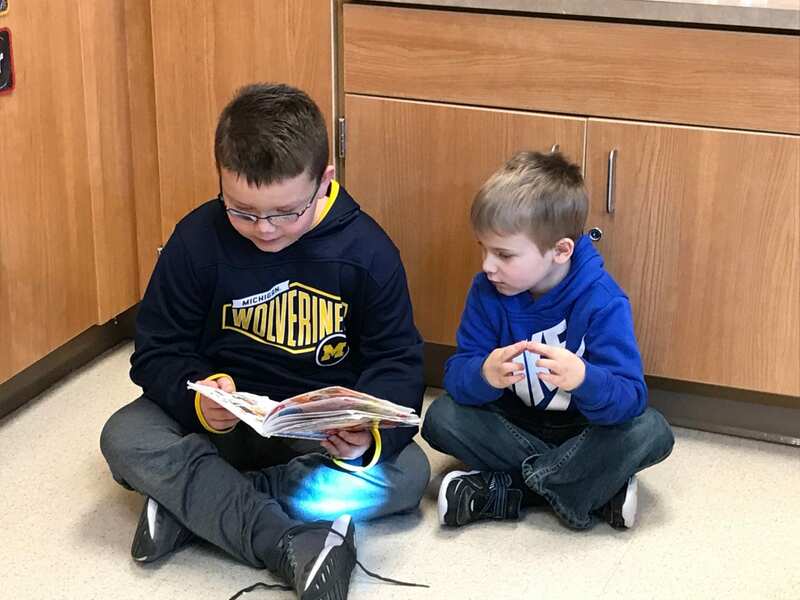 This entry was posted in News from Ms Van Arkel and tagged conferences, early release, reading on March 4, 2019 by avanarke. Writing: We will be practicing some constructed response writing before moving on to Literary Essays. We will be learning to answer a question about a text with complete sentences and detail. Math: We are learning to use different strategies for 3 digit addition and subtraction. We are practicing with word problems too. We are also working hard with rounding to the nearest ten and hundred. Please continue helping your child with multiplication practice with flashcards and MobyMax. Social Studies: We begin learning about the French in Michigan and about the fur trade. Reading: We will be practicing reading a selection and responding with a written response. We will move on to Biography reading next week. 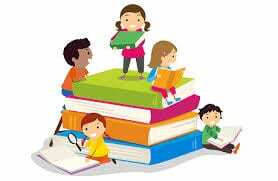 Please continue to support your child as a reader and encourage them to be reading 20 minutes at least 5 days a week. Keep track of this on the monthly homework reading calendar. **Conference appointment slips went home last week. Make sure you found the bright yellow paper in your child’s folder. I look forward to sharing the progress your child has made. **We have an Early Release on Friday, March 8. Dismissal is at 12:15. **If you haven’t registered for the KIDS HEART CHALLENGE, please do so as soon as possible. If we can get 50% of our school to register, we receive $500 in PE equipment. No cost to register! More information can be found HERE. This entry was posted in 3rd Grade Update, News from Ms Van Arkel and tagged conferences, early release, Homework, multiplication, reading, update on February 25, 2019 by avanarke. Social Studies Homework: We have been studying the people of The Three Fires. We have studied the Ojibway and Potawatomi in class. Tonight’s homework assignment requires your child to read about The Odawa and complete the chart. They have done this two times in class so they should be aware of the procedures for completing this. This assignment is due tomorrow, Tuesday 2/19. Conference Appointment Slips: These will be coming home on Friday. Look for the bright yellow paper in your child’s folder. Multiplication Practice Page: Please check in with your third grader on what facts they should be practicing for Wednesday. Thursday, February 21: Jet’s Pizza Night- make sure you mention our class! We could win a pizza party! Friday, February 22: Popcorn Friday. 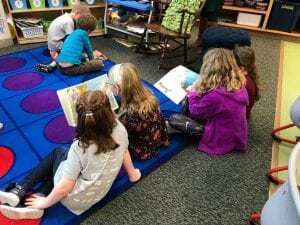 This entry was posted in 3rd Grade Update, News from Ms Van Arkel and tagged conferences, Homework, multiplication on February 18, 2019 by avanarke. WRITING: We will be working on finishing our realistic fiction stories. SOCIAL STUDIES: We continue learning about the History of Michigan and will begin learning about The Three Fires- Ottawa, Potawatomi, and Ojibwa. MATH: We started unit 4 today. We reviewed place value drawings. We will work on using place value drawings as well as rounding to the nearest 10 and 100, and using 3 digit addition/subtraction in word problems. READING: We are hoping to finish up our book clubs this week. We have enjoyed reading new books from a series and having discussions about characters in our stories. An email was sent about Valentine’s Day information. We are making Valentine gift bags in class. Your child may bring in Valentine cards to pass out if they choose to. A class list was included in the email. We will not need parent volunteers or donations sent in. We will be doing some whole group activities throughout the day on Thursday. 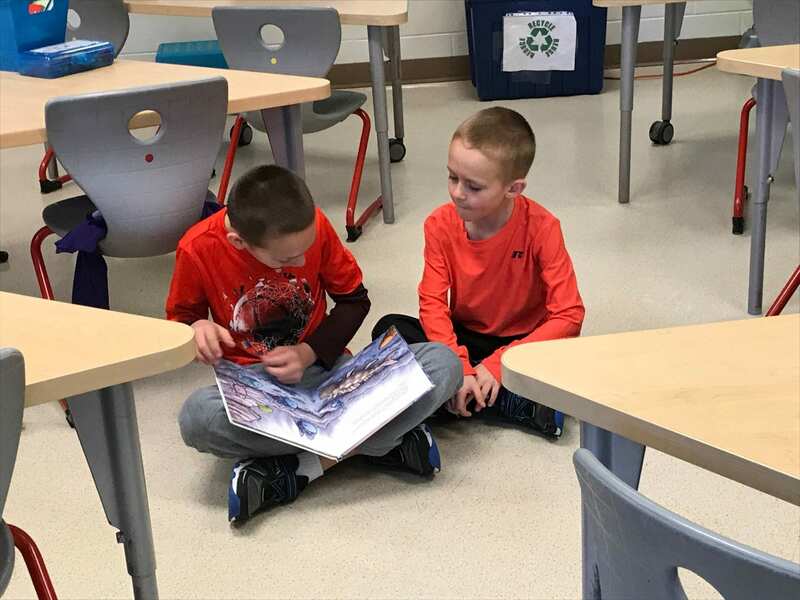 This entry was posted in 3rd Grade Update, News from Ms Van Arkel and tagged update, Valentines on February 11, 2019 by avanarke.